What is involved in being an observer of the stillness? When we sit in silence what do we do? We sit and observe the voluntary and involuntary activities of the body and mind. Slowly the voluntary activities come to an end, but the involuntary activities we have inherited from birth, from our family, religion, race, nationality -which fill the mind – go on, and we sit and observe their unfoldment. Since we are used to working all the time we may find it difficult at first to sit quiet, or the body may fall asleep due to accumulated fatigue. If it happens it is desirable to rest the body for a few days till it is fresh again. While you sit in silence, thoughts will arise, as the mind has been working for 24 hours. The thoughts cannot be suppressed nor can they be thrown away anywhere, you can only watch them, not naming them as good or bad. Then you are free from the roles of an experiencer and an actor, you enter into the state of an observer of non-reactional attention. (1) There is no self-deception. We do not hide anything from ourselves. There is nothing left as subconscious or unconscious it being all revealed in observation. There is now only the conscious level. (2) We stop deceiving others or presenting a different image of ourselves to others. The seeing of what is, without justification or condemnation shatters the image. We now have the courage to live and be what we are. (3) We become aware of all that is happening within us, of the different emotions arising within us, for example if we begin to get angry we are aware of it and so the grip of anger loosens its hold over us. (4) We recognise and admit our mistakes; asking for forgiveness immediately, thus freeing the mind from the burden of residue. (5) Through observation thoughts subside, hence the strain and pressure they cause on the neurological and chemical systems is also lifted. It is this tension that brings about anti-social behaviour. (6) Pain and pleasure are not taken further then the present moment; thus no grudges or attachments are formed. The art of living is to live completely in the moment, not carrying any residue over to next incident, person or day. First we sat to observe our thoughts, which not being unlimited subside after some time. When they subside there is an awareness of the emptiness within. There is a dimension of emptiness, like there is a dimension of time and space. When we touch the dimension of emptiness and stay steady in it, nothing happens, there is only emptiness. The mind is then afraid, for it has not been educated to live in that motionlessness. When there is functionlessness of the “I consciousness”, the “I” feels as if it is dying, there is fear and one wants to return to the mind, to more familiar grounds. The first touch of emptiness is like death but there is not an experiencing of emptiness, there is no one to experience it; the “I” and its functional roles not being there any more, even the observer is not necessary any more. There is only a consciousness that this is emptiness and after some time even that goes. To surrender all activity to the emptiness requires courage. Man must be able to stick it out and not to run away from this state, he must be able to digest it. After all, what is there to be afraid of? It is a fact of the organic Reality of Life. It is a phase that does not last but it comes in life and if man stays patiently with it, it will leave him as it arose. We are in the dimension of silence, of space. In this state there is nothing to experience, nothing to gain, nothing to see, there is only emptiness. Whenever there is work to do, you do it, when someone comes before you, you respond, and when there is no need to act then the emptiness within becomes the abode of the “I consciousness”. The home is no longer the mind but silence. One lives in silence all the time. One remains steady in the emptiness. From the attitude of an actor, of an experiencer we moved into the attitude of an observer. From the state of observation we moved into the dimension of silence. And from silence we move into the dimension of dhyan. We shall see what dhyan is and what dhyan is not. The light or energy within us works in many different ways and can be utilised in many different ways. Some people develop this energy by developing the powers of the mind, or the powers of concentration or psychic powers, but all these are activities and not dhyan. You can awaken energies in the body but those who want to know what Reality is are not attracted or interested in such powers. Dhyan is not an activity but a state of being, a dimension of being. It is a state of motionlessness where the ego is dissolved and you have let it be dissolved, where there is no experiencing but only a state of non-knowing, non-doing. Some have described it as the dark night of the soul. There is no tension at all in this state; the space within is being activated. It is a very delicate state that has to be looked after. You need to be alone then and need time to adjust to it. In the dimension of dhyan you have let the activities of the mind come to an end. The conditioned energy of the mind is quiet. The unconditioned part of the energy, which is within and without, now begins to work. There is an awakening of the Perceptive Intelligence. There is a new freshness and ecstasy. Universal Consciousness has taken over. The mystics have called it the marriage of the individual and the cosmic consciousness and in India it is described as the union of Shiva and Shakti. This is a new dimension and in this state it is difficult to function in society for some time but after a period of adjustment the individual can live in society, the difference will be that he will live in a state of egolessness. He does not want or expect anything from others or from society. There is a divine indifference, there is so much joy within that he needs nothing from outside or from anyone. Living is its own fulfilment. There is no centre or circumference of the mind ever to come back. Since there is no centre or ego that desires things, there are no reactions of likes and dislikes but only a response to need. Nobody can make him unhappy though he will be affected by the unhappiness of others. There is a difference between suffering and sorrow. Suffering is a reaction of the ego, which is always fragmentary. In sorrow events are seen in the context of whole humanity and the response is to the totality of life. One of the by-products of the state of dhyan is that fearlessness is awakened. Fearlessness is very different from bravery. Bravery is an attribute of the mind, which can be and has been cultivated by the state, religion and family for their own purpose, but it is an attribute that can also be lost. Once fearlessness is awakened it can never be extinguished, fear no longer enters the mind. Fearlessness is awakened when man has faith either in his own understanding or has faith in the Universal Intelligence. The mind obtains knowledge by grasping ideas. If this knowledge is not lived it becomes a burden. But if it is lived in relationship then the knowledge gets converted into understanding. Knowledge can be forgotten but not understanding. Nothing is as sacred as your own understanding. You should start walking in the light of your understanding no matter how small it may be. Faith in one’s own understanding awakens fearlessness and it brings about choiceless action. The following dialog took place between Vimala Thakar and Yoga teachers from all over the world in Mount Abu, Rajasthan, India on the 11th of September, 2000. Question: What are the most difficult obstacles that a Sadhaka has to overcome during his spiritual path? It becomes very difficult to break the silence and touch the space with words; words feel very shy to encroach upon the emptiness of silence. The science of consciousness, Atma Vidya has been the field of study, investigation, exploration, experimentation and verification through the act of living in Ancient India. Naturally all the literature about Atma Vidya, Adhyatma -Spirituality is in ancient Sanskrit language, so the students of Yoga come across the Sanskrit words and terms when they study Yoga Sutras or Mantra Yoga, Tantra Yoga etc. You have used the term “sadhaka” in your collective question. But the investigation does not begin with Sadhana. Investigation begins first on the theoretical, academic, verbal level. One has to know with the help of words about what one is going to do as Sadhana. . This phase of investigation, this study through travelling, through reading books, through seminars, you may call it intellectual sadhana, but we call it JIGNASYA the urge to enquire, and one who does that is JIGNASU. 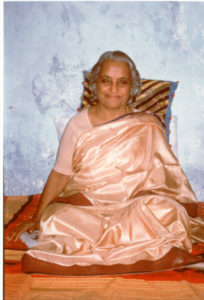 When a person living In Europe and America or outside Asia comes to know through scriptures on Hinduism, Buddhism, Jainism or even Islam, when the person comes to know that there are different ways of living, where freedom from the prison-house of thought and from the clutches of the mind is possible, then the desire for liberation is born in the heart. When he knows through that verbal investigation that a different way of living is possible, that people have lived that way, that it is possible for anyone and everyone to be liberated from the grip of the mind and the prison-house of thought structure, then the desire for liberation is born in the heart. The desire for liberation is called Mumuksha – the desire for Moksha. Moksha is liberation. Mukti, Moksha, these are the Sanskrit terms. One who has the desire for Moksha is called MUMUKSHU. So the JIGNASU becomes MUMUKSHU. First he only wanted to know; now he says I have known that It IS possible, so why should I continue living as a slave of the thought and the mind. If there is a consciousness beyond, if there is a life beyond, well let me explore. So JIGNASU becomes a MUMUKSHU; a person charged with the flame of enquiry, of exploration. So he turns to those who have taken the pilgrimage, those who have followed the path of liberation and freedom. He comes across such persons, sees their lives and he says that I want to educate myself in that way of freedom, in that life style of freedom, so he becomes a SADHAKA. A Sadhaka is one who launches upon the extensive project of education, learning, discovery. SADHANA is the process of education, the process of learning, a personal discovery of truth. One who does that sadhana is called SADHAKA. So JIGNASU; MUMUKSHU; SADHAKA. When the process of education is gone through at the physical level, at the verbal level, at the mental level, at cerebral level, and in the movement of daily relationships, then he becomes a SIDDHA. The education is completed, now it is mature. SADHANA – SADHAKA and then SIDDHA. Because you have asked the question and have used the term SADHAKA one must know the background. SADHANA, SADHAKA is the third phase. After verbal investigation, comes the phase where one is charged with the desire for liberation from mind and thought. If that desire is not there, if the urge is not there, then one does not become a Sadhaka. The Sadhana is for Mukti, Moksha, liberation, enlightenment. That is the top priority; that is the first priority. The person is willing to do anything and everything for that discovery of freedom and living in freedom. So the Sadhaka is the student of life, learning and educating himself. If the urge for liberation is not there, then you may do Yoga Asanas and Pranayama for 20 years, they will give you health, they will give you symmetrical body, it is a physical and cultural education, very necessary -but that by itself does not lead you to freedom from the mind. YAMAH- NIYAMAH will give you a disciplined life, even Pratyahara can give you a disciplined life. There will be a disciplined life at the physical level, at the verbal level. You will be speaking Truth -Sat yam, you will be non-violent -Ahimsa, there will be Shaucham- cleanliness at the physical, the mental and the verbal level and modesty, humility. So the Yamahs and Niyamahs will create a very orderly, disciplined person. Asanas, Pranayama will change the quality of physical life and bring about a different freshness in body-brain complex but that by itself is not the totality of Sadhana, it is only a part. Many people have a misconception when they turn to Yoga; they think that Yoga Asanas, Pranayama and Yamah – Niyamah, will naturally lead them to Dhyanam and Samadhi. But that is a different education because with Yamah- Niyamah, Asana-Pranayama, Pratyahara, Dharana you have to exercise the physical, the verbal, the mental, the cerebral, you have to make an effort, you have to create an order in the chaos, in the disorder. The “You”, the centre, the monitor is there, the method and techniques of doing away with disorder and creating order: that is there. Yamahs and Niyamahs give you direction for the Asanas, which must be done correctly, a Mantra has to be pronounced correctly, in the proper accent, intonation, punctuation, and articulation. Even in Dharana, the science and the art of concentration, there is still something to learn – concentrate on the breath, concentrate on the movement of breath, concentrate on an idol, concentrate on the flame of a candle and so on, there is the centre, the knowledge, the direction of effort, the methodology of effort. People find it easy up to there. Education can go on smoothly up to the step of Dharana, if the person is really sincere and really very serious about changing the way of living. It is an alternative way of living. It is an alternative culture. It is an alternative dynamics of relationship with your body, with nature, with human beings with non-human species. It is a holistic change in the way of living, up to that it is comparatively easy and many serious, sincere students of spirituality in the various countries of the world have taken the journey up to there, but then comes the point of DHYANAM or meditation. You say what is the most difficult obstacle? I will not call it obstacle, but a difficult point that you have to cross. If you convert it into an obstacle it can become an obstacle, otherwise it is something that you have to cross, to go over. What happens is, up to Dharana, the ‘I’, the self, the me, the Ego, the Monitor whatever you call it, can assert itself, can make an effort, can see the result, the product, the result of its effort in time, it can even manipulate the result, so it is satisfied -I have done this, I have progressed. And naturally through Yoga asanas, Pranayama, Pratyahara, Dharana, the dormant energies in the body, in the biological organism, in the psychological structure which were not tapped before, they are stimulated. The manifestation of those activised powers is called VIBHUTI. SIDDHI, VIBHUTI. So up till there, the enthusiasm of the ‘l’, the ‘Me’ is tremendous, because it is doing something, it is getting something, it can measure it, people can see what you have achieved and you can teach it to others. But then comes the point of DHYANAM, where the mind and the brain are to be educated in relaxation of all movement – that is the difficult point. The body has to be steady, the speech has to go back into its source, and the mental movement and the movement of the brain have to voluntarily discontinue. You cannot make them stop, because you are a part of that, you are a part of the past, of the thought structure, the conditionings, you are one of it, you are its product so you can not change it, the ‘You’, the monitor which up till now has been very active has to voluntarily discontinue its movement. The difficult part comes now of educating the mind and the brain to voluntarily discontinue its movement in every direction. If you tell the mind there is nothing to know, nothing to experience, nowhere to go, no experiencing, it runs back into the past. Wants to chew into the memories of the past pleasure, of the past pain, or it wants to jump towards the future that is unborn, that is not here. It does not give up easily its addiction to motion. It has been moving, changing itself, changing others, getting something. It has been busy with the acquisitive movement- acquire knowledge, acquire money, acquire experience, acquire powers, and people acknowledge you, you get social respectability and you can earn money by teaching them. This part of self-education is a very tough part, because there is no doing. You have to be with yourself whether you sit down, you stand up, and you walk. No books, no reading, no knowing, no experiences. One requires tremendous patience with the cerebral organ, which has been sharpened. It has been made very sharp and sophisticated and you have purified it through your Yamah -Niyamah etc. It is very sensitive: one hundred times more sensitive than any of your electronic gadgets. So when you sit down with yourself or spend some days with yourself, you notice that immeasurable velocity, that tremendous, fantastic momentum with which the thoughts come and go, the emotions come, the memories come up and the Seer has to be there just seeing it, not looking at it. Looking is the activity of the monitor, the ‘I’, the ‘Me’, the mind. Seeing is the energy principle of your life. You don’t see because you want to see, but because you can’t help it. It IS an involuntary action. It is not a movement like thinking, feeling, willing. It is an instantaneous action. So be with oneself, be with the total human past contained in your body, not even to watch it, to observe it, but just be in the state of SEEING. The seeing, the hearing goes on but you are not listening. You listen to something when you have a motivation, but hearing goes on, you can’t help it, if you are awake, the auditory nerves respond to the sound, the optical nerves respond to the light, to the shape, to the colour of the objects. To be in that austere state of seeing is the toughest part. When the seen, that is the past, the known, the conditioned gets exposed to that seeing energy it gets exhausted, that is to say, the seen energy is not unlimited, it is vast, it is gigantic, but it has had a beginning and it can have an end. One needs patience in educating oneself for being in the state of SEEING without looking, without listening, without comparing, without evaluating, without passing a value judgement on what is seen. Nobody will know, but you go on doing that inwardly. So no value judgement, no comparison, no seeking pleasure out of it, no feeling pain out of it. The seeing is unrelated to that which is seen. It is not a relationship, it is co-existence of the seeing energy and the seen energy -the DRASHTA, DRASHTUTVAM AND DRISHYA. The body, the movement of the pranas, your breathing, the movement of the mind, the movement of the brain -all these are seen, they are not your existential essence, they are not the essence of your being. The seeing energy is the essence, which you might call ATMAN and CHAITANYA. You might give a variety of names to it, It is just an energy, where seeing and understanding are rolled into one. It is a perceptive sensitivity. Looking is an activity, a joint activity of the mind and the optical nerves, but seeing is unrelated to that which is seen, because one did not want to see it, wish to see it, expect to see it, it is there, therefore it is seen. That is the toughest part, but if that is gone through, then the seen and the seeing energy subside into their sources and there is MAUNAM or silence or emptiness. The immeasurableness and indescribable-ness of that emptiness! How can you describe emptiness? You can describe an object. So the ‘I’ consciousness, the Ego that had gone voluntarily into discontinuity jumps back. It wants to claim and say “I have had an experience of silence”. The ‘I’ can never have that experience, the ‘I’ can have experience of quietness, of abstinence from speaking, it can have an experience of non-motion but silence is something that cannot be experienced. Nothing happens to the chemical or metabolic or nervous system. What is the obstacle on the path of a Sadhaka? – This nothingness and nobody-ness. To go through that period of solitary silence is difficult especially for those who are living in big cities, they have jobs, they have families. Unless they move away from their working place and family atmosphere for some time this education from the doer, the experiencer to the Seer, from the Seer into the Silence and then into Meditation, this education cannot happen. Devoting an hour a day while living in the family, while working at a job is easy, that can be done, but for the revolution to happen, for the mutation to take place, the Silence has to crystallise. It is only when the silence crystallises as the normal dimension of consciousness that the mutation, the quantum jump into the state of DHYANAM occurs. It is not the result of any human effort. You cannot bring it about as the result of your action. It occurs, it happens if this period of being merged into or being immersed into the ocean of Emptiness is gone through. You may call it in your language the most difficult obstacle. As I see it, it is a tough phase in education, because it is going beyond mind, it is going beyond brain into another dimension of consciousness -Dhyanajam anashayam (Patanjali Yoga Sutras IV. 6). Out of meditation is born a Chitta which has no content of thought, emotion, feeling, which has no past, which has no conditionings. The “Prakrit chitta” disappears with meditation and Dhyanajam chittam anashayam emerges. Chitta, which is emptiness, emptiness as a dimension of consciousness, gets born. In the beginning it lasts for say few hours and when you are busy in movement of relationships you feel it is slipping out, because that is a period of puberty from one dimension to the other -a touch and go, it slips back into the mental or the cerebral, it becomes aware of it, again gets back into the mental or the cerebral, it becomes aware of it, again gets back into the meditative dimension and then there is a growth into Samadhi, the dimension of invincible equipoise, invincible peace, invincible relaxation. No action can damage the relaxation. No speaking for hours can affect the inner state of silence and no relationships which one has to go through in society can even touch the solitude of the consciousness. So it seems to me that the tough period begins in Sadhana or the difficult period or obstacle period, begins when one is busy educating oneself in DHYANAM. Meditation –DHYANAM is a romance with the unknown. I do not know if I have responded to your question, but this being the last meeting of this year, I thought: let me share with you the journey from JIGNASA to SADHANA – sadhana as a process of education –self-education, mutual education, group education. How you do it is secondary, but it is an educational process. Not academic education, which gives you a degree and a job at the end of it. At the end of this education there is the maturity of Samadhi, it is the consummation of human growth. It is not an acquisitive movement but it is a movement of constant discovery of the different nuances of truth and reality, a discovery of the different nuances and shades of that cosmic energy which is playing even in your body. On the 14th August I had another interview with Krishnamurti. While I was waiting for him his hostess was kind enough to come and have a word with me. ‘Do you understand what Krishnaji says?’ She asked. Krishnaji came out in a little while and led me to a room where we settled down for a serious talk. Here are the notes of our conversation. Krishnamurti: You need not hesitate at all. You can say anything to me – for or against. Do you understand? V. I have told you about the invasion of a new awareness, irresistible and uncontrollable. I have told you how it has swept away everything. Now – this has something to do with that healing. If it had come independently I would not have felt as I feel today. If the mind had come by it, say, while listening to you, I would not have felt what I feel today. Today I feel that the two are related. And I feel deeply indebted to you for both. That feeling of indebtedness makes the mind heavy and uncomfortable. Your talks have helped me and I am deeply thankful to you for the talks. But my love for you was never burdened with a sense of indebtedness before. Today it is. K. Wait a bit. Who told you that the two are related? V. No one. I feel it. K. Your feeling may be wrong. Perhaps you are confusing the two. You don’t owe me a damn thing in the world. Do you understand it? The healing has happened. It has taken two persons – you and me – for it to happen. Why not let it remain at that? It is very simple. V. Are you sure that the two are not related? K. Yes. Quite sure. You have been listening to the talks. You have a serious mind. The talks were sinking deep into your being. They are operating all the time. One day you realized the truth. What have I done to it? Look here- you were walking in a forest. You came across another person. He said: ‘If you walk this way you might arrive earlier.’ You walked. You arrived. You thanked the person. It is as simple as that. Why should you feel you owe something to me? Why make an issue of it? V. I can’t tell you why. But I do feel obliged to you. K. All right why do you feel disturbed over it? V. Because my affection feels hurt by that. Obligation and indebtedness seem to have polluted love and friendship. Our very relationship seems to be changing. K. That’s the crux. There is nothing to feel afraid of. I have not done anything to you. I don’t know how the healing takes place. I know as much as you do. Do you understand? Shake this off. I shall be sorry if our relationship is affected by this. Vimalaji, the earth was ready to receive the rains. She has received with full abandon. No wonder there is new life. V. So be it Krishnaji. Let me only confess that this sudden invasion does baffle me. It is not due to anything that I have done. As if it is not related to me as an effect is related to its cause. It has descended with an irresistible force. The intensity and the depth of the force know neither increase nor decrease. K. It happens. Why not watch it? While I was walking back to the hotel I met Mr. B. who was practicing as a psychiatrist in New York. He had come all the way to attend the talks. He was putting up in the same hotel and we had met several times during the fortnight. B. Vimala, I have been shaken all over by Krishnamurti’s talks. We had learnt that the unconscious is indestructible. Krishnamurti says: ‘It can drop away.’ I had learned that it has taken a million years for the human mind and the brain to develop to its present state. Krishnamurti says: ‘You can jump out of this mind and brain.’ It is fantastic and incredible. V. It is neither incredible nor fantastic. He is not presenting a theory or an idea which you could accept or reject. He communicates his experience. He is a challenge to your science of psychology. Why should not a group of you take it up for scientific investigation? Why not make a research into whether the conscious and the unconscious can be done away with? Krishnamurti is no fool. He knows what he says and he says what he means. B. Do you agree with Krishnamurti, that the unconscious can be destroyed completely? V. I am not a student of psychology. And there is nothing to agree with. I see that what he says is true. B. Excuse me for being personal. Have you destroyed it? V. You can’t destroy it, my dear. It gets destroyed. One sees that it has dropped. That is all. I left Gastaad in the evening and by midnight I was in Zurich. Next day I wrote two letters, one to my father and one to Krishnamurti. ‘Everything has dropped away. A tremendous tempest has swept away everything with one stroke. It is not ‘The cosmic evolution become conscious of itself.’ It is life anew. A journey wither I know not! Why, I know not! No excitement! No enthusiasm. But an intense flame of passion is consuming the whole being. I wish I could describe the strength of integrity which makes me walk now fearlessly. I wish I could describe how I witnessed the ego being torn to pieces and being thrown to the winds. I wish I could communicate what this denudation is! Or may one call it ex-centration? The center of thinking getting dissolved into nothingness. The words might sound familiar. Perhaps you would say Krishnamurti – type terms and phrases. But you are well aware that borrowed phrases cannot transmit life. Nor can they enable one to see the reality. They cannot give you the moral courage to knock down and pull down your house in which you have lived until now. Only truth liberates. Only truth transmits fresh life. Truth breathes innocence into you. ‘I am not making ‘an issue’ of the event. I am trying to understand it in relation to total life. You may tell me, ‘ It is simple.’ My mind looks upon it as something strange. Is it simple to see the total mind being born anew? If one who has suddenly witnessed it happening, feels overwhelmed, would you call it an emotional disturbance? Let me assure you that it is not the personal aspect (It’s happening in my life) that overwhelms me. Life is neither yours nor mine. Life is life. This phenomenon comes as a challenge to the medical science and to psychology. Does it not? It is true that I have been listening to your talks for five years. I knew that they were sinking deep into the very being. But surely, that could not cause this sudden explosion. Understanding does not explode; nor does love explode. Or do they? Not that I am sorry for it. Not that I am excited about it? Far from it. I am watching everything with a passionate interest. I do not think I shall attend anymore talks. I would love, however, to come and see you when you are in India. I would love to sit quietly with you, provided you do not mind sparing some time for a person who wants to see you without any purpose whatsoever. After spending three weeks in Zurich I left for India by plane. I was in good cheer. I was relaxed and happy. There was intense alertness to understand every movement of life. Life had fanned a glowing flame of passionate interest. One could call that state of deep attention an absolutely new experience of meditation. I am sorry it is not quite correct to call it an experience or a state. Both have a beginning and an end. In my case, however, I did not know how it came about; nor had I any idea whether it would continue forever whether it would discontinue the next moment. Pratyahara is the state of the individualised mind where the movement of memory and the movement of the senses has discontinued. So the mind is inwardly and outwardly surrounded by space. Pratyahara equips the mind with the capacity to bring in dharana. It enables the mind to be in the state of dharana. The individualised mind is held by the inner and outer space: that is dharana. The individualised mind in its purified form, in its purified condition is there but now all its energy is focused on the inner and outer space. Its attentivity is related to the inner and the outer space. It is as if enveloped in space, in emptiness, in silence. It has not yet assimilated the state of emptiness and peace as its experience, but it is held there. If that state of the mind is sustained, then the individualised mind converts that state of being embraced, enveloped, wrapped in peace and emptiness into an experience and that experiencing of emptiness and peace is called dhyanam. So there is only the experiencing of space, emptiness, silence. In this state of the experience of silence, but still in its very subtle form, in a very purified state, the individualised mind is still there. The subtle consciousness of “I am” or “I am experiencing space”, “I am experiencing peace or silence”, “I am in the state of dhyanam meditation” is still there. When that consciousness disappears, there is the state of samadhi. Though it is a very subtle, harmless centre, because it is not running in the past, with the past or running outside your body it is harmless but yet it is the individualised mind, it is not yet that universal mind stuff – the drashta, the authentic seer. There are still the thoughts “I am”, “I am experiencing meditation”, “I am in the state of meditation”. But when that disappears, when that gets dissolved, there is the state of samadhi. Beyond meditation, beyond dhyanam, is the dissolution of the individualised mind. So samadhi is now a new dimension: in that state of meditation the sense of “I am” totally gets wiped out – the sense of “I am experiencing meditation” – that last segment gets wiped out. Now the silence and the space have penetrated the sense of “I am” and dissolved it – that is samadhi. The following is extracted from the book Mutation of Mind. The conscious mind, realizing its own limitations, becoming aware that it hasn’t got any other channel or groove to function in, can become spontaneously quiet. When all this investigation creates a humility in the conscious mind, and an awareness of its own limitations, awareness of the fortress in which it is imprisoned and which it cannot transcend, then that humility does create a silence in the mind. This is not the silence of suppression or repression, compulsion or paralysis. It is not an induced silence, whether that inducement comes through ideas, ideals, emotions or chemicals. The immensity of the contents of the unconscious brings about a sense of humility in the conscious mind. And a silence of the conscious mind flows out of that humility. The next step is not going to be taken by the conscious mind at all. We are saying that the very awareness of its own limitations can bring about a state of silence. Then a direct communion with reality becomes possible. In fact, that state defies verbalization. The realm of the unknown defies verbalization. Self-knowing is the essence. Self-knowing is the maturity which one has to attain. So we have been struggling with the limitations of the mind, but for the struggle we employ the mind. Struggling against the limitations of the mind by employing the mind and exercising the will is not the right way perhaps. When you realize that the mind is not equal to the task of communing with reality, the mind relaxes in silence. The problem is how to break away completely from the conditioning in which the mind has been cultivated. Truth (requires) the right approach, start, foundation. We must become free from the urge for security; acquisition, accumulation, preservation is a hindrance to this transformation. Emotions, feelings, thoughts and memories are mechanical actions, inevitable reflex actions according to conditioning. The mind names, identifies, compares, judges on the basis of memory. Mind becomes silent, temporarily, only when it is confronted with something which it cannot interpret, something unprecedented. Realizing its own limitations, understanding that truth and reality are something very vast, immeasurable by the human mind and that the mystery of life cannot be discovered by ideas and concepts, the mind becomes silent. The mind could understand its own nature, find out the conflicts between the conscious and the unconscious; find out the impossibility of a total action on the mental plane; realize the limitations and become quiet. Whether you try to influence the mind through ideas and concepts, or through discipline and vows, or through drugs, you are trying to stimulate artificially a state of silence. Perhaps if we are friendly with the mind, if we watch the mind, if we understand the mind, if we let it wander, let it roam about wherever it wants, let it exhaust its momentum by wandering, without scolding, without praising, without condemning it might exhaust its momentum and arrive at the simple innocent silence. The subconscious and the unconscious contain the known. The implication of the words total silence is silence of the subconscious and the unconscious and the conscious. We will have to allot some time in the beginning to sit by ourselves and find out if the mind can be silent. All our emotions and thoughts are conditioned reflexes, reactions. This non-identification with ones reactions … brings about a sudden change in the level of consciousness. This non-identification with the subconscious world, non-identification with the momentum of the whole subconscious and unconscious results in creative silence. The creative alternative is to refuse to identify oneself with the mind. This cannot blossom in a day, if we do not know what mind is. One has to begin with being introduced to one’s own mind. To watch how the mind works, to watch how we live second-hand through emotions, feelings and sentiments. How we call them our own and identify ourselves with them. To watch all this, will be the beginning of meditation.